SACRAMENTO – The U.S. Department of Housing and Urban Development (HUD) announced today that the Sacramento Continuum of Care has been awarded $20,180,083 this year to fund 31 programs that serve people experiencing homelessness. This is an increase of $668,245 over last year’s award and a $5.2 million increase since Sacramento Steps Forward took over as the Continuum of Care lead agency in 2011. The award renews funding for 22 Permanent Supportive Housing programs and in doing so, retains housing and supportive services for people who were previously homeless. Without this funding, these individuals would likely return to a state of homelessness. It also renews funding for four Rapid Re-housing programs. HUD funded four new projects this year including two Permanent Supportive Housing programs operated by Sacramento Self Help Housing, one Permanent Supportive Housing program run by TLCS and a new Transitional Housing/Rapid Re-Housing project operated by TLCS and Wind Youth Services. 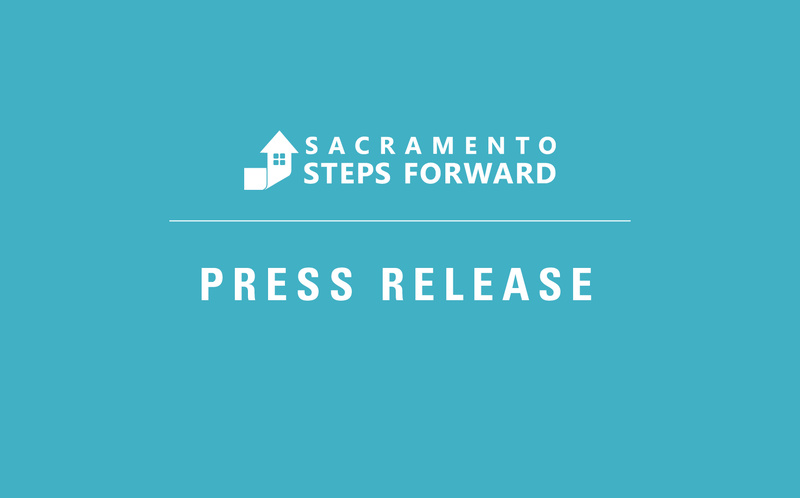 Two awards were granted to Sacramento Steps Forward to administer the Homeless Management Information System and a planning grant, which covers the cost of the Point-in-Time count, among other programs. The grant application was submitted to HUD last September following a six month competitive process to select and prioritize local projects for funding. Great care is taken to ensure that the process is fair and maximizes federal resources for programs dedicated to ending homelessness. The Continuum of Care (CoC) Program is designed by HUD to promote community-wide commitment to the goal of ending homelessness. As a part of the program, HUD awards grants annually to nonprofit providers, State and local governments to rehouse individuals and families experiencing homelessness. In Sacramento, the Continuum of Care is led by 25 community stakeholders who make up the Continuum of Care Advisory Board. Stakeholders include representatives of homeless service providers, advocates, local government, business groups, law enforcement, and individuals who are formerly homeless. Sacramento Steps forward is a nonprofit organization and has been the lead agency for Sacramento’s Continuum of Care since 2011.